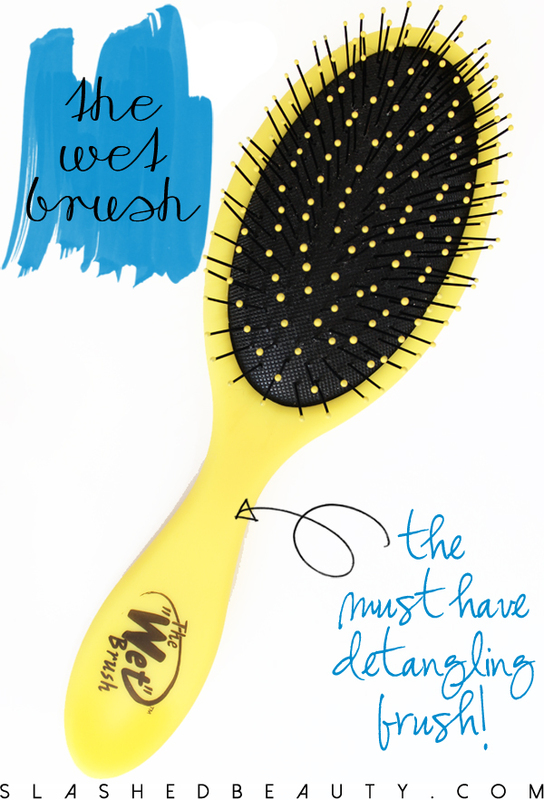 There’s no doubt you’ve heard of the hair care revolution that is the Wet Brush. But let’s back up a second; let me set the scene. When I was younger I had the same long, thick mane I do now, but I hated taking care of it. I could never run a brush through it, so I just threw it in a ponytail on a daily basis, tangles and all. Obviously, this made the situation a lot worse. Come time my mom would sit me down to work through the bird’s nest that had developed… well let’s just say we had a few Princess Diaries moments. Oh, how I’m sure she wishes she had a Wet Brush back then. 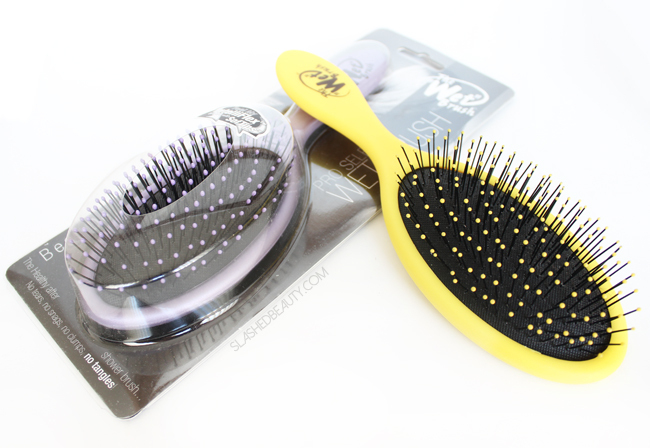 The Wet Brush is a specially designed brush that works through wet hair to detangle it safely, without tugging at your scalp or causing breakage (and tears!). The secret behind the brush is the IntelliFlex bristles, which “know” when to be firm and when to be flexible. They are super thin and very bendy, which I initially assumed wouldn’t cut it for my thick hair. Surprisingly, my hair was no match for the Wet Brush. It instantly smoothed my hair while gently working through tangles. It only took a couple passes to work out the most stubborn knots, and it was relatively painless. Brushing my hair post-shower used to be an ordeal (look, I’ve got a lot of hair). Now, I almost look forward to how painless I know it will be. What most excited me about using the Wet Brush is that I saw much less hair left in the brush after use! Hair is most vulnerable to breaking when it’s wet, and I always felt so guilty when I hear my normal paddle brush ripping through my tangles. Since the Wet Brush works with your knots instead of against them, I know I’m not doing more harm than good when brushing my hair straight out of the shower. It works well on dry hair, too. Tough knots need a bit more elbow grease this way, but the bristles are still gentle and effective. 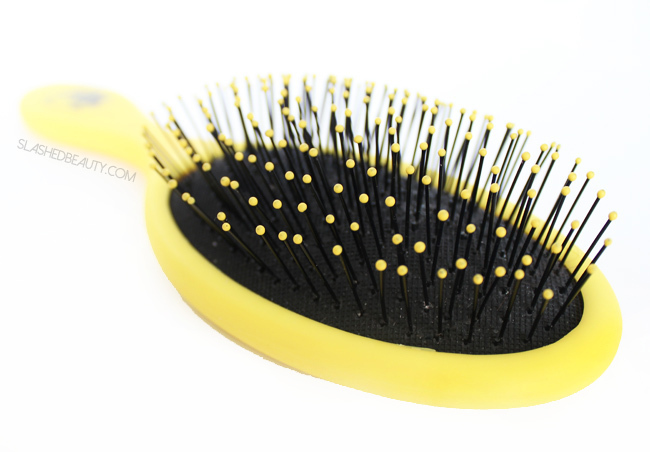 Whether you have unruly hair yourself, or a child who hates getting their hair brushed, the Wet Brush will make tangles a breeze to tackle! 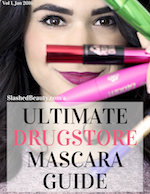 You can find it at mass retailers like Target and select drugstores, ranging from under $10 to about $15. There is even a “Squirt” model that is small enough for kids to handle, or to throw in your purse. I’ve broken up with my old paddle brush for good, and am in a committed relationship with the Wet Brush. 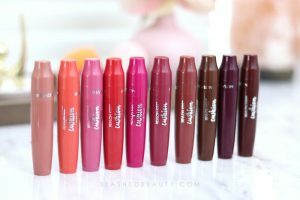 Next article5 Bad Beauty Habits to Break… Right Now! I totally need one. Growing up my mom and I had quite a few Princess Diaries moments, as well! I got this brush for my daughter but use it all the time myself! I got mine on Amazon for $7.99, best hair purchase ever, after my GHD! That’s a great deal! It only gave me that option if I bought $25 worth in qualifying merchandise so I just got it at my hair salon! I need to get this for my daughter. I LOVE this brush &bought a second one recently since my thick, long hair finally wore down the original. I also spotted some mini versions at TJ Maxx recently…tempted! This is the only brush I will use now after trying it! I have this brush and love it!! I haven’t tried the actual “Wet Brush” but I did get a small one that says it is for wet or dry hair at Sally’s Beauty Supply for like $2.99 and I am really liking it! I love this brush–have not used anything else since I got it last summer!! Thanks for the review. I have been curious about this brush. I love this brush so much, I even bought some as Christmas presents for the girls in my family. Nothing detangles my bird’s nest as well as this little miracle worker! I have this and it didn’t work all that well for me. I bet it’s because you appear in your photo to have much thicker, more beautiful hair than mine — mine is rather thin-to-medium in texture and hangs a bit limp. I’ve actually done some research on it, and found that brushes like the Wet Brush are better for thicker hair, whereas boar bristle brushes are better for thinner hair. I have short thin hair but it tangles like nobody’s business! I’ve had luck with a wide tooth comb and the tangle teezer but I’d like to have an actual brush! I have long, thick, curly hair, and I like my Wet Brush! I still use my wide-toothed plastic comb more than anything, but since I only wash my hair 1x every 5-7 days or so, sometimes I brush my curls out into a softer wavy look – and this brush can do it. I really want to try this!! Great review! I need one of these. Brushing or combing my hair post-shower is generally a painful experience, and my hair isn’t even that thick! I haven’t tried this, but my daughter is awful about brushing her hair. I should try this!! I have this and really like it for my thick hair! Interesting brush. I always use a comb in the shower, but I have much shorter hair. I have a Tangle Teaser, but rarely use it. My hair is short, and I generally keep it shorter, and it’s rare than I get tangles. I got one in purple for my daughter. She use to scream and cry before I used this one and now she doesn’t. Anyone with kids should get this.